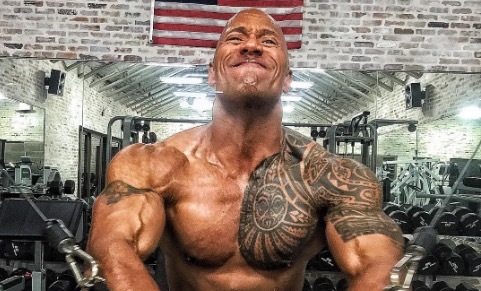 We’re having a hard time taking our eyes off The Rock’s tattoos, and we’re not alone. Ever since Dwayne, “The Rock” Johnson became a dad earlier this year, our hearts have been melting out of our chest watching his precious relationship with his newborn daughter, Jasmine. He posted this picture of his daughter on Instagram over the weekend, and she’s obviously completely mesmerized by her dad’s tattoos (I mean… duh!). The sweet image is enough to prove how much The Rock is enjoying being a dad, but his excitement about future “daddy/daughter chats” is enough to make our feeling parts explode out of our chests.